Look at any whiskey review and you'll see a spirit evaluated in stark isolation. Not many can withstand the intense scrutiny that demands perfection in nose, taste and finish. It's the same when we try a whiskey at a whiskey society meeting, or even at home. We just don't envisage it as one part of a larger experience. It must stand or fall alone. It's a standard that doesn't seem to apply to wine. We know that some wines are good in the hand at a cocktail party, others better kept for washing down the roast duck. When I do whiskey and food matchings I'm reminded that I'm not getting as much from whiskey as I might. If I combine a sample of whiskey with something else with a complex flavour profile, I can create something new. The whole is not the sum of the parts. It might be better, it might be worse, but it will be something different, and worth exploring. That bottle on the shelf that I'm avoiding, that's an opportunity, a challenge to figure out what to put alongside its contents that will transform them into something sublime. I could try anything with some complexity, like cheese, chocolate, or even another whiskey. Last week I co-presented the Irish Whiskey Society's third annual Whiskey & Chocolate tasting with Clementine Agron of Cocoa Atelier. It was the perfect chance to take whiskey out for a well-deserved spin in the wider landscape of flavour. We had plain whiskey, flavoured whiskey, single plantation chocolate, flavoured chocolate and even a whiskey-flavoured chocolate. I deliberately picked the widest range of "whiskey" (not every bottle was strictly a whiskey) flavours with the (unstated) intention that there would be at least one or two that people did not like. My hope was that the accompanying chocolate would transform that whiskey into something far more pleasurable. It took some trial and error to come up with the matches listed below. If you live in Dublin, you might like to try the Cocoa Atelier chocolates with their suggested spirit partners (here are six more from last year). Or just use these pairings as inspiration to discover your own. Incidentally, Gay Byrne shared his thoughts on the tasting on his Sunday radio show. You can hear the excerpt here (.mp3). 2013 is awash in Irish poitíns. I count five brands on the shelves right now with more on the way. This could either be the peak year for the category or the start of something big if drinkers notice and embrace it. I wanted, therefore, to put poitín on the society's radar and included the Glendalough. It's made from malted barley (and sugar beet) but tastes entirely unlike whiskey so I wasn't sure if it would combine well with chocolate. The Almond Rocher (diced almonds in a praline base coated in milk chocolate) dispelled my doubts entirely. If poitín succeeds it will be as a cocktail ingredient. I think we demonstrated how well it can mesh with other flavours. Rye is an unfamiliar flavour for Irish whiskey drinkers. The makers of Canadian Club describe their entry level whiskey as "smooth" but the first time I tried it, "smooth" was not one of the words that occurred to me. I didn't go for it. I persevered, however, becoming accustomed to the taste and now quite enjoy it. I didn't expect the room to take to it immediately but it was a chance to see if the accompanying chocolate (Papua New Guinea - 70% pure plantation dark chocolate featuring notes of pepper creating a very intense full bodied chocolate flavour) could overcome that. In truth, we originally matched this one with an Ivory Coast chocolate (40% pure plantation milk chocolate striking a balance between the bitterness of the cocoa bean and creamy milk chocolate) but these were in short supply by the time the tasting came around. 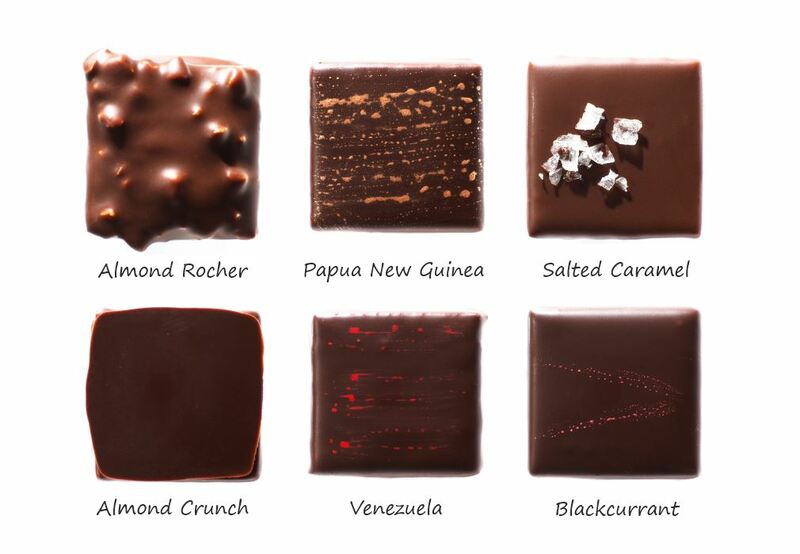 The Papua New Guinea worked well until the finish, when the bitter cocoa dominated, upsetting the balance. Never mind the whiskey, the combo of salt and caramel blew me away the first time I tried it in the Cocoa Atelier shop. I think salted caramel with this bourbon works well but it was the least favourite match of the night. I'm quite fond of Devil's Cut, by the way. One of the side-benefits of Beam's acquisition of Cooley has been better access in Ireland to products like this from Beam's portfolio. I'm sure the whiskey purists were appalled when they realised what was in front of them but this black cherry-infused whiskey has kickstarted a whole new whiskey sub-category. In contrast to the demographic bourbon normally reaches (slightly older white males), this sweeter drink appeals to younger men & women equally, and reaches the Hispanic and African-American drinker too. Since Beam released this in 2009 we have seen flavoured whiskeys from competitors like Jack Daniel's and Bushmills. Beam itself has released other variations under the Red Stag label. Flavoured whiskey will be around for a while. It's a nice drink but probably a little sweet and sticky to take neat. Predictably it didn't garner any votes as the favourite whiskey of the night. The combination with the Almond Crunch (diced almonds in a praline base coated in dark chocolate), however, was the hit pairing of the evening. This was another flavoured whiskey from reputable Scotch blender, Compass Box. A high-end example this time, infused with the "hand-zested peel of Navalino oranges and subtle accents of Indonesian cassia bark and Sri Lankan cloves". The website for Orangerie suggests a dark chocolate accompaniment and that's what we had - Venezuela (70% pure plantation dark chocolate from Venezuela revealing spicy and floral notes). If you add orange zest to a whiskey it suddenly ceases to be a whiskey, legally speaking. There are traditionally accepted methods of adjusting the flavour, however, that fall within the legal bounds. One of those is the choice of cask used to mature the spirit. I wanted a good example of a sherry-matured whiskey in the line-up to get the dark fruit flavours typically associated with such casks. I asked around and BenRiach got good notices so I picked this one up (Ally in the Celtic Whiskey Shop was especially effusive about the 12 year old). Coincidentally or not, we found it meshed with a dark fruit-based chocolate, Blackcurrant (dark chocolate filled with a strong blackcurrant ganache using puree of blackcurrant, decorated with blackcurrant paint strokes). I've always been disappointed with food products that claim to contain whiskey (whiskey marmalade, whiskey truffles, whiskey fudge, etc). They never taste of whiskey. My guess is that they are aimed at the majority of consumers who don't actually like whiskey so the makers only add a dash. For the Irish Whiskey Society, then, I asked Cocoa Atelier if they would make us a chocolate that tasted unambiguously of whiskey. I supplied them with a bottle of smoky, cask strength (58%) Connemara single malt. The early sample of this that I tried was unmistakeably whiskey-laden. The ones we had on the night were not, I have to admit. So this ambition was not entirely fulfilled. At least it gives us something to shoot for next year!